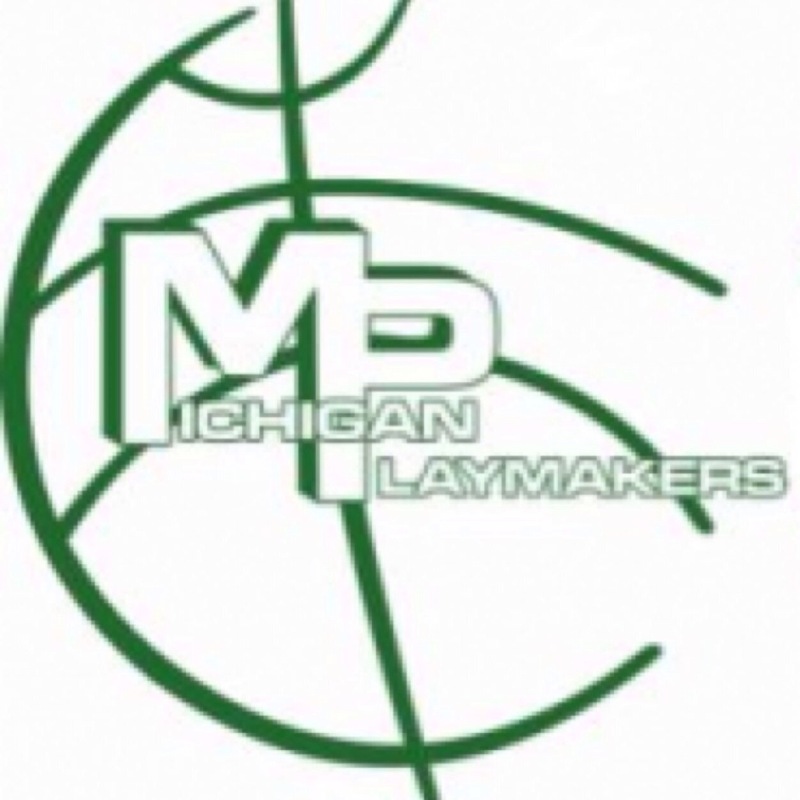 Today, we are taking a look into the future of Metro Detroit basketball and I am seeing some special talent in the Class of 2019. These are the players to watch and remember, you heard about them first here at The Prep Ball Report! Beginning with 235 pounder, 6’5” Chad Lorkowski, from Gross Pointe who is also the #1 8th grade baseball pitcher in the state. Chad has some serious size and girth, has good foot work, a soft touch around the basket and also can step out and shoot from 18-20 feet. Daniel Friday is the floor leader 5’10” point guard at University of Detroit Jesuit Academy. He has great court vision and could be the second coming of Cassius Winston. Daniel has played with the Playmakers since the 4th Grade where he played center at the time. He has worked and developed his all-around game and is also able to shoot from 18-21 feet. Lorne Bowman from Pontiac led the team in scoring for the Playmakers last year averaging 15 points a game. He is a 5’6” slender kid with probably the best 3 point shot in the stats. He also can finish around the basket with the best of them. As evidenced by the fact that he cracked the top 30 all-star team at the Buckeye Prep this past fall! Khalil Rozier is a 5’10” scrappy, tough run through a wall for you kind of kid. He has a complete skill set. He will back smaller defenders down and bring bigger defenders out and attack them out of the dribble. He has been with the Playmakers since the 4th grade. Khalil is a mentally tough kid who will excel in high school and beyond because of it. John Massey is 6’3” forward. With his size and athleticism, John blocks shots and finishes around the basket consistently. His upside is huge as he’s looking forward to going to King High School next year. 6’0” Jalen Graham, a three-sport star and academic standout at Detroit Country Day Middle School, has been a Playmaker since the 2nd grade and is one the best 8th grade athletes in the State. He’s a starting quarterback and a born leader. On the basketball court, he gives the Playmakers all the versatility in the world. From guarding the point guard to the center. Not to mention scoring around the basket with either hand and making good decisions setting his teammates up on the court. Keenan Stolz 6’2” from Brighton, has the best mid-range game on the Playmakers team, is highly skilled and has a great touch around the basket. Keenan will be a star in the KLAA and the state in the next four to five years. Keenan is also a star on the football field where it runs deep in his genes as his dad, Scott, played football at The University of Wisconsin. 5’9” Noah Stamps is an example of what the Playmakers promote – a hard nose, tough in your face defender. Noah has been a Playmaker since the 3rd grade. He is a floor leader and continuously sets his teammates up. Defensively, he gets his hands on a lot of balls and disrupts opposing teams’ offensive continuity. Noah plays at University of Detroit – Jesuit Academy and has excelled at youth football for the past seven years. He is a mentally tough kid with good leadership skills. Robert Johnson 5’8” from Northville also a two-sport star (football) and has to be if not the best, one of the best finishers around the basket in the state for his age. Robert has the ability with his outstanding ‘ups’ to finish in traffic around the basket with either hand. He also has a solid mid-range jump shoot which combined with his speed give opponents’ nightmares. Defensively, Robert’s quick feet and hands allow him to average three to four steals a game. He also shot 50% from the field last season, which is exceptional for a guard. Robert has been with the Playmakers since the 3rd grade and has worked tirelessly on his game. Robert also will be a star in the KLAA and the state in the years to come. 5’7” A.J. Gilbert is a great spot up shooter with a good bit of athleticism which allows him to finish around the basket. A.J. is a scrappy defender who plays with an edge. He has a high basketball IQ which will take him far in the future. Also a two-sport athlete, he thrives on the baseball diamond. The coaches have tremendous confidence in A.J.’s ability to make plays in crucial moments, whether knocking down a big three or playing solid disciplined defense. His future is bright! Two “X factors” for this season are newcomers, 6’1” Matthew Rookstool from Rochester, and 6’4” L.J. Napier from Detroit. Matthew is a hard nose player who can score inside and out. Matthew brings a lot of experience and toughness to the Playmakers and will be a great addition. L.J., who has a six to seven foot arm span, resembles a young Josh Jackson physically and in the face has a huge upside. He is all over the rim and very versatile. He’s a presence on the floor at all times: blocking shots, causing havoc with his wing span and finishing around the basket. L.J. has a nose for the ball and potentially could be a high achieving major athlete if his commitment continues. The Playmakers will play all over the country this upcoming spring and summer and only time will tell how good the class of 2019 can be, but they show great potential! These are some of the players I’ll be watching in the upcoming years and their names and faces are sure to become familiar to everyone who loves high school basketball!